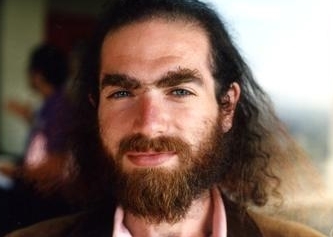 In 2006 the Russian mathematician Grigori Perelman was awarded the mathematical equivalent of the mathematical Nobel prize (the Fields Medal). He declined it. In 2010 he was the first mathematician to be awarded $1 million – he turned it down. What had Perelman done to achieve such (apparently unwanted) acclaim? He had solved a puzzle that had frustrated mathematicians for over 100 years – the Poincare conjecture. What is the Poincare Conjecture? Simply connected means a shape without holes. The two shapes on the left above are simply connected, the two on the right are not. In 3 dimensions, a sphere and cube are simply connected, but a donut shape (torus) is not. 3D manifold means a 3 dimensional surface. Imagine the surface of a sphere – that is a 2 dimensional surface. So a 3 dimensional surface on a sphere would require a 4 dimensional sphere. A 4 dimensional sphere is one which has a fixed radius in 4 dimensions (unlike in 3 dimensions for a sphere and 2 dimensions for a circle). Homeomorphic means it is mathematically equivalent in terms of the relationship between points. Basically, if 2 shapes can be sqeezed or stretched to form another shape then they are homeomorphic. In the above animation, the coffee mug and the donut (torus) are shown to be homeomorphic. 3-Sphere means a sphere in 4 dimensions (i.e with a 3 dimensional surface area). So, with those terms defined we can simplify the Poincare conjecture. In regular 3 dimensions, conventional 3 dimensional shapes without a hole in them (cubes, cuboids etc) can all be squashed and squeezed to create a sphere. Poincare conjectured that the same would be true in higher dimensions – i.e 4 dimensional cubes (a tesseract, as shown above) could be squashed and squeezed to make a 4 dimensional sphere. Imagining the 4th Dimension. How mathematics can help us explore the notion that there may be more than 3 spatial dimensions. Non Euclidean Geometry V – The Shape of the Universe – Using mathematics to understand one of the most important questions of all. What’s so special about 277777788888899? Crack the code to win $65 million? Is Intergalactic space travel possible? Fourier Transforms – the most important tool in mathematics? Modelling tides: how does the moon affect the tide? Finger Ratio Predicts Maths Ability?